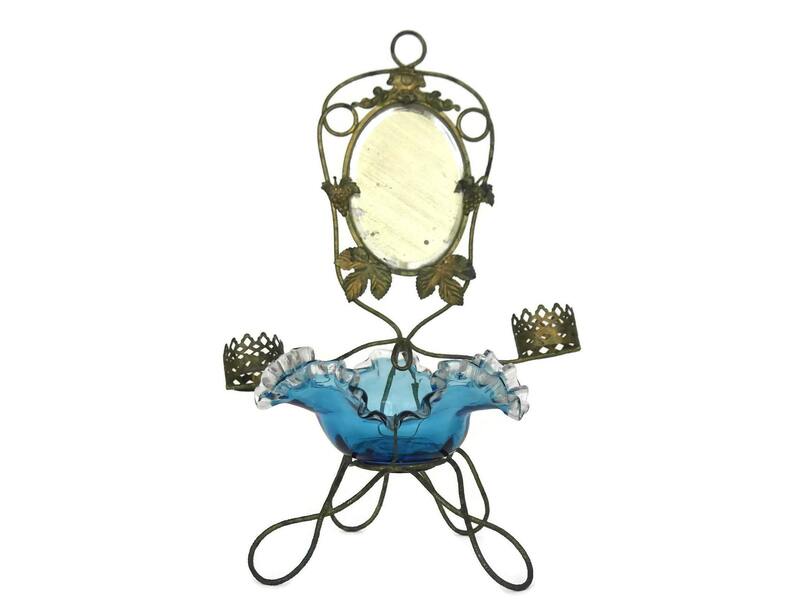 A gorgeous antique French Palais Royal jewellery stand with a ring dish, mirror and scent bottle holders. 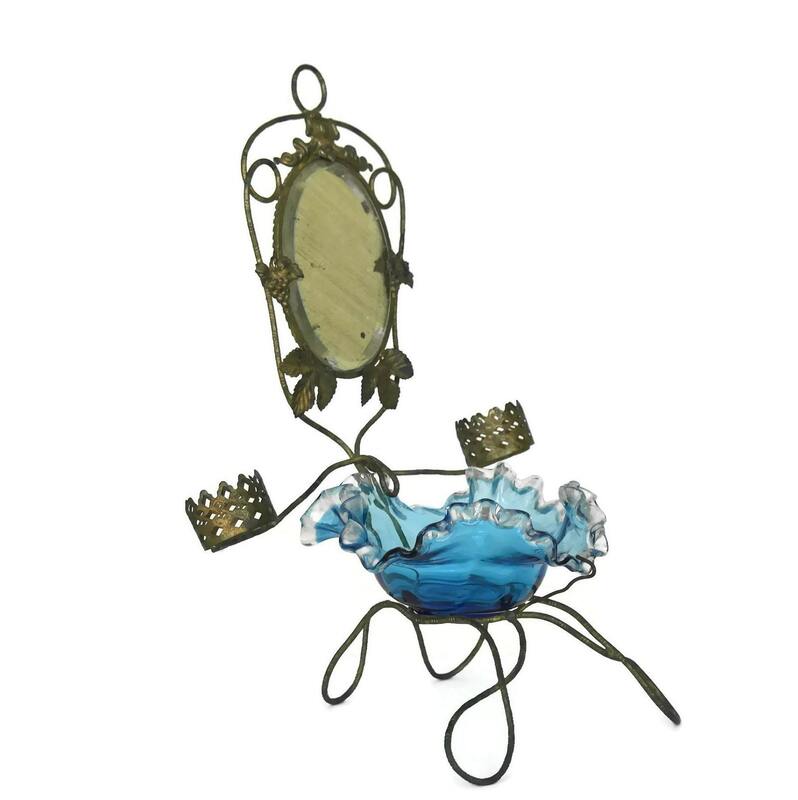 It dates from the 1800's and has been created from metal wire with ornate cut out motifs. 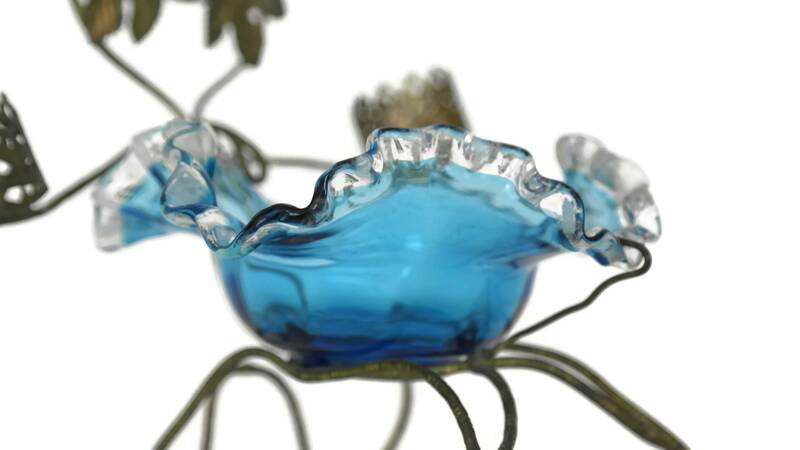 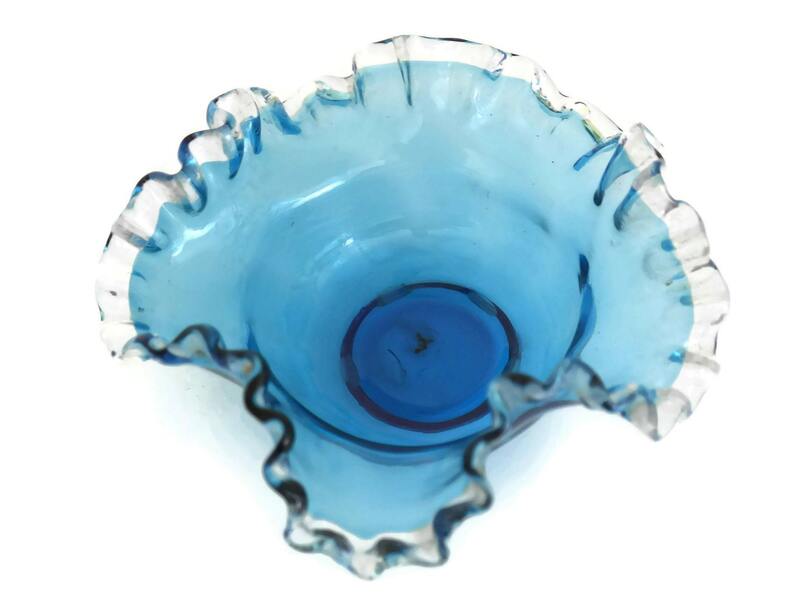 The jewellery dish has a delicate frilled edge and is made from blown glass decorated in a deep shade of blue. 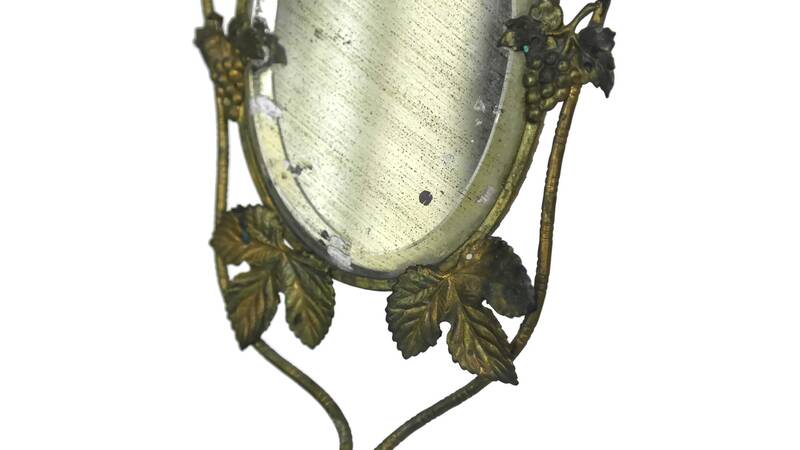 The oval mirror has beveled edges and is set in an ornate medallion frame with leaf and grape motifs. 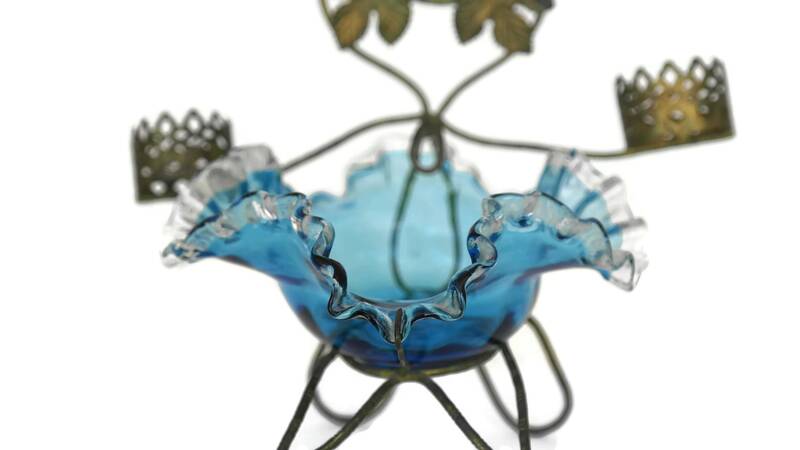 The 2 side arms have crown-shaped holders for scent bottles. 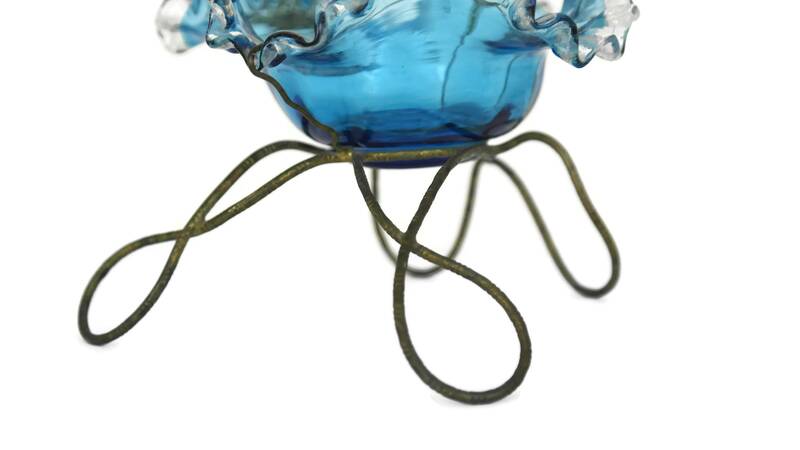 (28 cm x 17,5 cm). 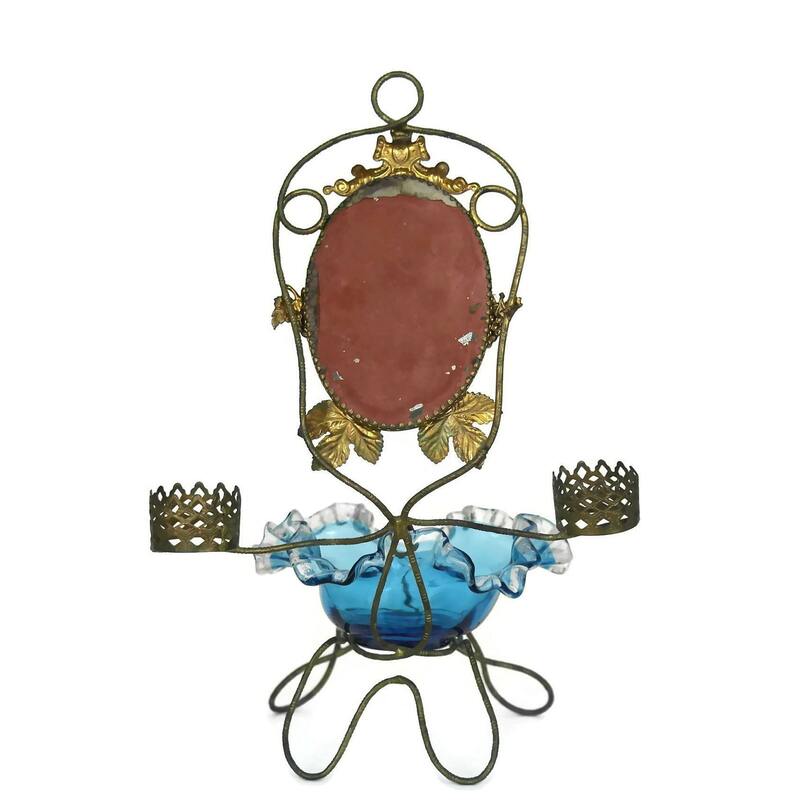 The Palais Royal jewellery stand is in good antique condition with some signs of age and wear. 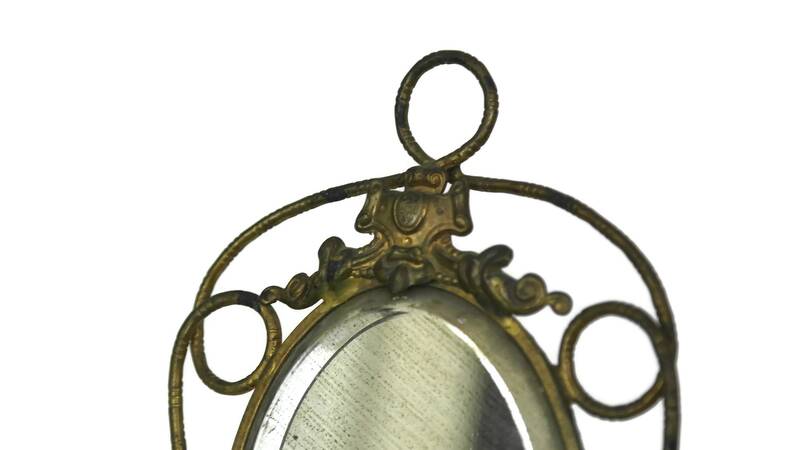 The metal frame has a deep patina and the mirror has age marks and wear to the silver under the glass. 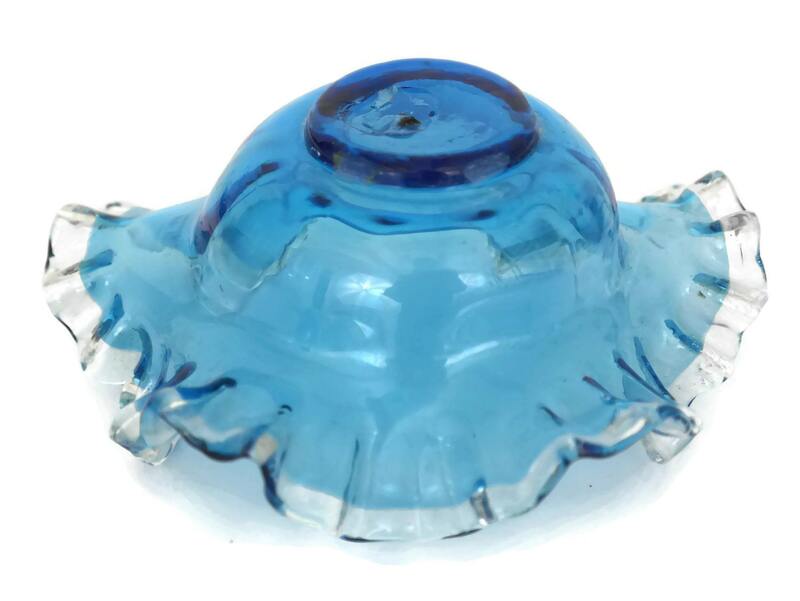 The glass ring dish has no chips or cracks.